Penfield moves offices to 200 Pequot Avenue in Southport, Connecticut. Emarat Maritime, a Dubai based company, joins Penfield Tankers (Aframax) pool with the M/T Dubai Angel. Penfield welcomes Hellenic Tankers of Greece as a partner in our Penfield Tankers (Panamax) pool with the MT LR1 Ambassador and MT LR1 Carrier. Penfield welcomes new pool member Wah Kwong of Hong Kong into the Penfield Tankers (Aframax) pool with the MT Unity Venture. Valles Steamship Company, Ltd., Hong Kong-headquartered shipowner, entered the M/T Seanostrum to the Penfield Tankers (Aframax) pool. Chemnav of Athens Greece, enters the Penfield Tankers (Aframax) pool with the M/T Delos Voyager. Penfield Marine welcomes the M/T Angelica Schulte, managed by Bernhard Schulte Shipmanagement, into Penfield Tankers (Aframax) pool. Phoenix Shipping Group of Athens Greece, enters Penfield Tankers (Aframax) pool with the MT Phoenix Alpha. Penfield adds four Diamlemos ships to the Penfield Tankers (Panamax) pool. Penfield Marine celebrated its 5th anniversary on July 5, 2017. Hellespont enters Penfield Tankers (Panamax) pool with the MT Hellespont Progress. Grace Management S.A of Greece joins Penfield Tankers (Panamax) with the M/T Orfeas. Penfield launches Penfield Tankers (Aframax) LLC, an aframax pool focusing on crude and DPP. Navios Maritime Holdings joins Penfield Tankers (Panamax) with the M/T Aurora N.
Penfield again makes history with the M/T Angelica Schulte carrying the first aframax-size cargo of American crude to leave the United States since the end of the 40-year ban on such shipments. Jerry Townsend joins the Board of Penfield. After more than doubling its panamax pool to 20 ships in 12 months, Penfield expands into the Aframax sector by taking three vessels on time-charter. Ionia Ship Management enters Penfield Tankers (Panamax) with the M/T Theo T.
Stena AB enters the panamax pool with the M/T Stena Companion. Chemikalien Seetransport commits three vessels to Penfield Tankers (Panamax) LLC. 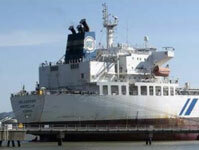 Salamon (SAG) joins the panamax pool with the M/T Fedor. Penfield Tankers (Panamax) LLC was established to focus on panamax and long-range-one (LR1) tonnage. The DPP-oriented pool started with eight ships from the initial pool partners: Evolution Maritime, Paradise Navigation, Expedo, and Penfield. Penfield Marine, headquartered in Connecticut, expands its global footprint by opening an office in London. Penfield Marine moves headquarters location to Southport, Connecticut. Spetses Trading Ltd. becomes a shareholder in Penfield and Alexander Schwarzenberg joins the board. Penfield takes on its first ship, the M/T Stena Callas. Per Heidenreich becomes a shareholder in Penfield and is appointed Chairman of the Board. Joe Toce, Managing Director of Anderson Tax LLC in New York, also joins the Board. Hurricane Sandy destroys Penfield’s original office. 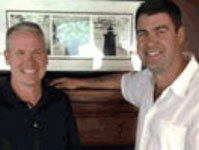 Former Heidmar CEO Tim Brennan and Glencore executive Eric Haughn team up to launch Penfield Marine. 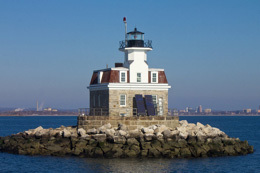 Penfield Reef Lighthouse is located on the south side of the Black Rock Harbor entrance to the Long Island Sound, off the coast of Fairfield, Connecticut. Constructed in 1874, it was one of the last offshore masonry lights. 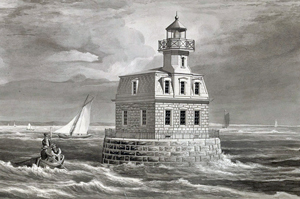 This historic lighthouse was the inspiration for Penfield Marine’s name and logo.